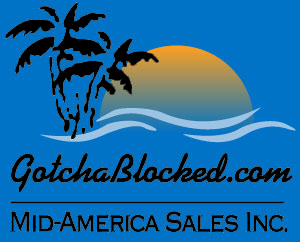 Schedule an appointment with Mid-America Sales Inc.
We are a national independent distributor of sun protection and water play products, providing the ultimate in sun protection: Ocean Potion®, NoAd® and Bull Frog® suncare. In addition, we supply wide-brimmed lifeguard hats and a huge assortment of resort eyewear sunglasses, which are available in super cool kids, teen, adult and polarized styles. Don’t forget to check out our DiCAPac 100% waterproof smart phone cases! Fully functional underwater and guaranteed to keep your customers’ phones safe and splash-free. Stop by our booth for free samples!